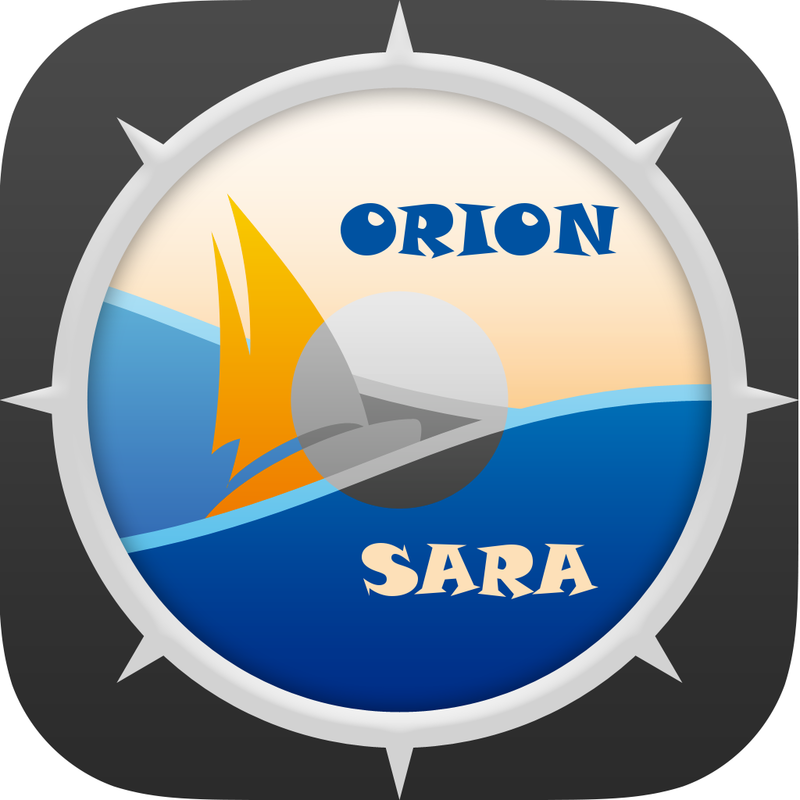 Sail And Race Audioguide (SARA) is an app to announce heading, speed and positions during regatta. 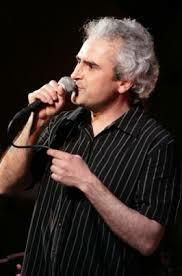 This project mainly focuses on blind sailors able to understand french, english, spanish and italian. Sighted people can also take advantage of this app to feel free to watch the sea and the sails and forget to check the displays. 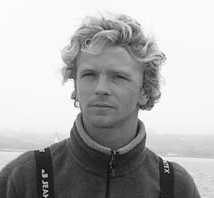 Sara project started in 2011 while Olivier Ducruix and Mathieu Simonnet were sailing together on the orion association adaptated sailboat. Concretely, they wanted to provide any blind sailors on any boats with an vocal information system. By this respect, developping a mobile app became a must. 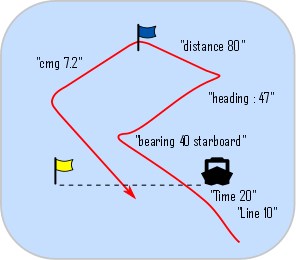 Nowadays blind sailors can use vocal navigation information to efficiently take part in regatta in a crew. For 5 years, a lot of developments, tests, revisions and improvements have been performed. Many efforts led to minimise the wordiness depending on the crew wishes and situation needs. 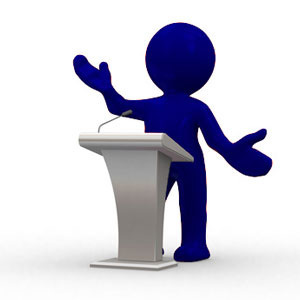 It is now easy to set information tresholds and keep sara speaking enough but not too much. Today the proof of concept is functional and blind sailors take great advantagess of this new as accurate as tireless fellow: SARA. In a solidarity position, this regatta release is freely available on the app store. After last efforts to finish developments, we plan to organize a blindfolded regatta event at next spring. There, every vision level wills be able to race fairly. But racing is not the only way to sail ! Many visual impaired sailors cruise with friends or take part into boats delivering. 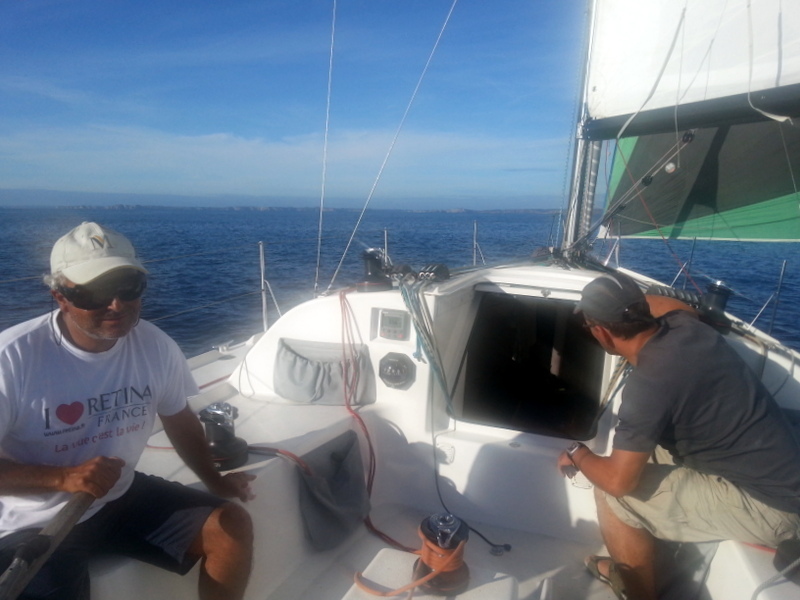 Currently, with SARA-regatta app, they have to manually enter coordinates of the journey. This is cumbersome and often leads to no vocal information. 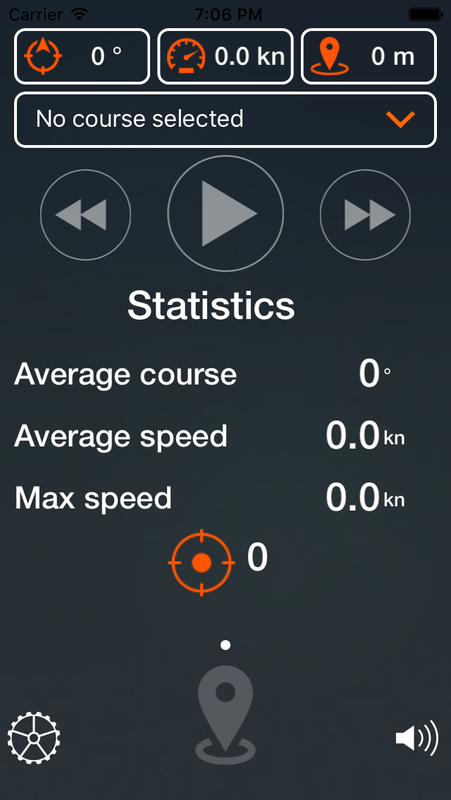 This app about regatta has created some expectations for an app to cruise without vision. Thus, the time has come to create SARA-cruise to allow blind sailors to follow their itinerary during sailing journey. 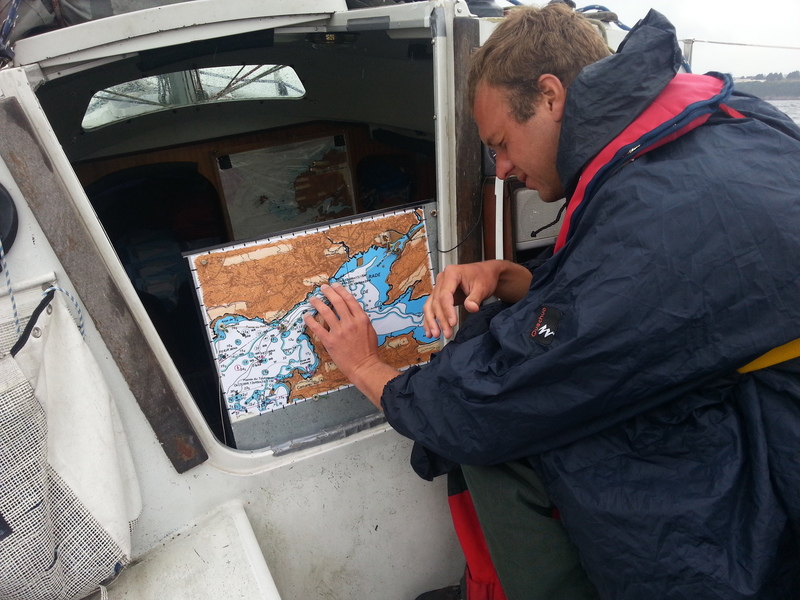 The SARA-cruise principle is to provide blind sailors with a list of the nearby navigational marks. To build the way, it would be sufficient to check corresponding marks by names and choose which side to let them. This system would allow blind sailors to participate more efficiently to the navigation and even to manage it by themselves. 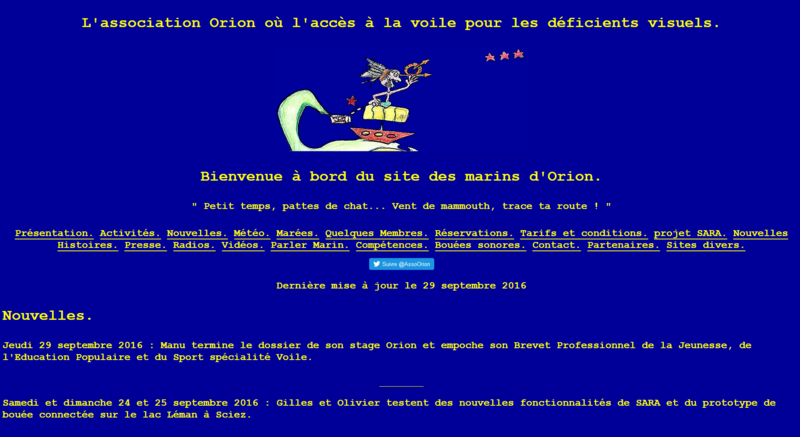 Orion association is a little entity from Brest (France) which aims to allow blind sailors to navigate with greater autonomy. 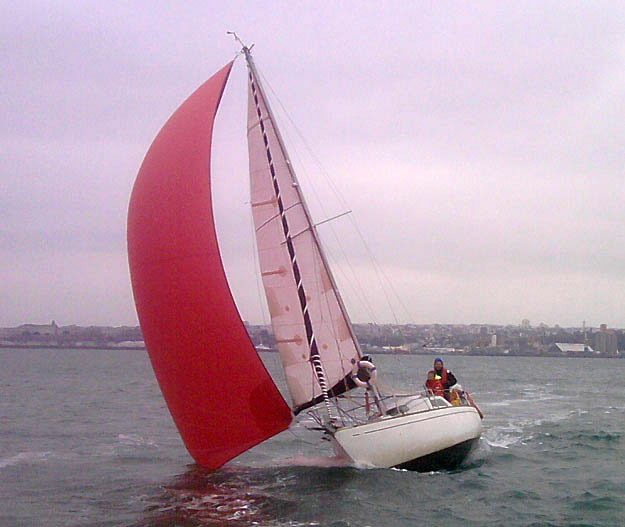 Our association uses an 8m adaptated sailboat. This school/lab ship allowed to set up differents adaptations like vocal synthesis navigation information with a computer, marine tactile maps, a system to low the spinnaker easily, etc... Many blind sailors discovered sailing with us but fo not find these adaptations any where else. Nowadays, we work on creating mobile adaptations to improve blind sailors autonomy anywehre. Armed with the experience of the last years, we estimate the costs of the whole SARA-cruise project around 60 000 euros. This includes research and development, tests, navigation data collect from all over the world, translation in 4 languages and android portability. This first 6000 would permit to launch first developments and tests to create a demo on a little area in the Bay of Brest (France). Then after having tested the proof of concept in real situation with blind sailors, we expect to engage further developments. get dressed with SARA ! Come to sail blindfolded with us ! Come to sail and grab a tactile map ! We explain anything to you !